In addition to sharing ideas here on Toddler Approved, I often get invited to guest post on other awesome sites. I'm also a regular Kids Crafts Contributor over at Life Your Way. Here are some of the other fun ideas I am sharing this week around the web. I'd love for you to stop by and come say hi over at these spots. If you don't already follow Nurturestore, Playing with Words 365, and Life Your Way, I'd recommend that you do. 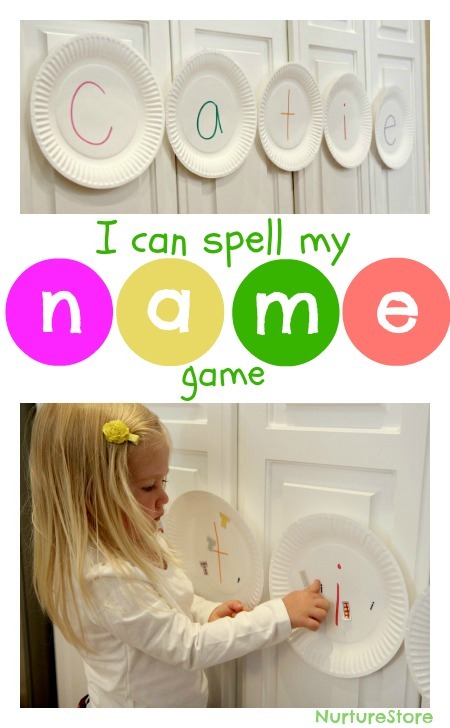 This week I am sharing a Paper Plate Name Game at Nurturestore. This activity is super simple and I'll bet you have all of the materials at your house. We had a blast with it! I also have loads of other name crafts and activities pinned on pinterest you should check out too if you have a moment. I'm also giving a peek at some of my favorite Science Activities for Kids (that help with language and communication) over at Playing with Words 365. 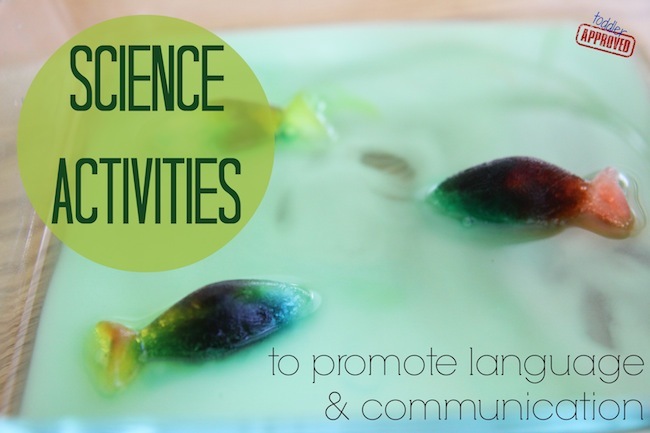 You can also check out the other cool science activities I've been pinning lately. We've also been getting ready for Kindergarten to start for my son next week and I am sharing these Rock Schedules for Kids at Life Your Way that we're trying out this year. Do you have a cool schedule that works for you? I have also been pinning some other ideas to do with my new kindergartener on my School Days pinterest board. I am torn between being super excited for him that he is starting school... to being sad for me that I am losing my little buddy at home! What are you up to this week? Have your school-aged kids started school yet? Hope your little one has fun at school! I have a few years before I have to worry about that yet. Great ideas, off to look at your other pins now. We home school and are back to work officially in a week. However, our science project was delivered today, day old chicks. That is what we have been doing. Researching, preparing their home and now just admiring them! Lol. 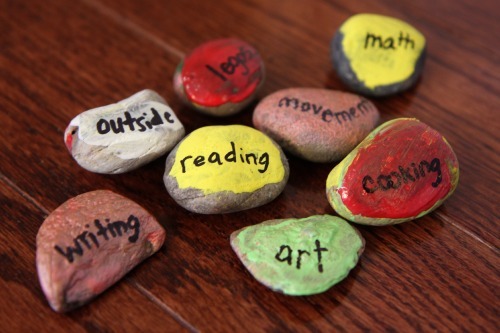 I like the pebbles we might do that as a visual time table for our day. 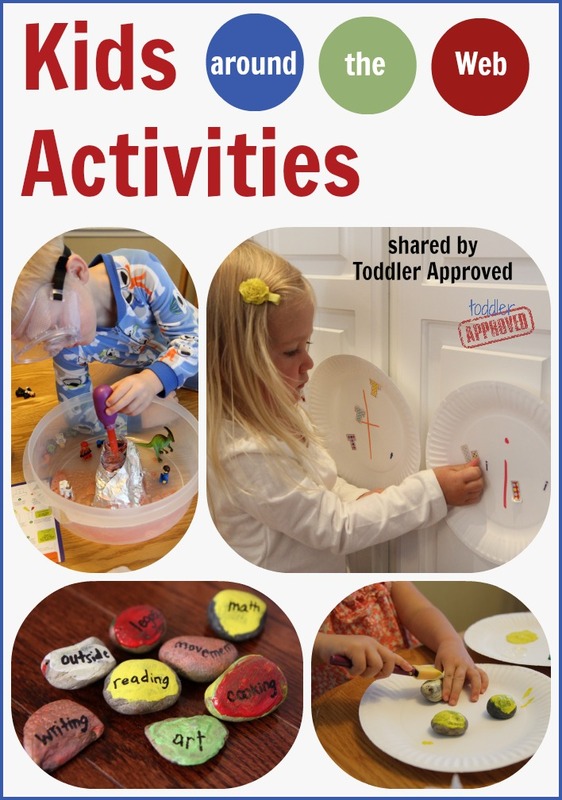 Nice kids activities! Of course if you are going to throw a party for your kids, maybe it’s a birthday party or any casual party, it won’t complete without fun activities. Games and exciting activities are the major part of any children's party. Children attend party for food and sweets, but they also attend the party for the games and activities. They curiously wait for the prizes that they can get from participating. Face painting, drawing, sketching and paper crafting some activities that are all time favorite for kids.